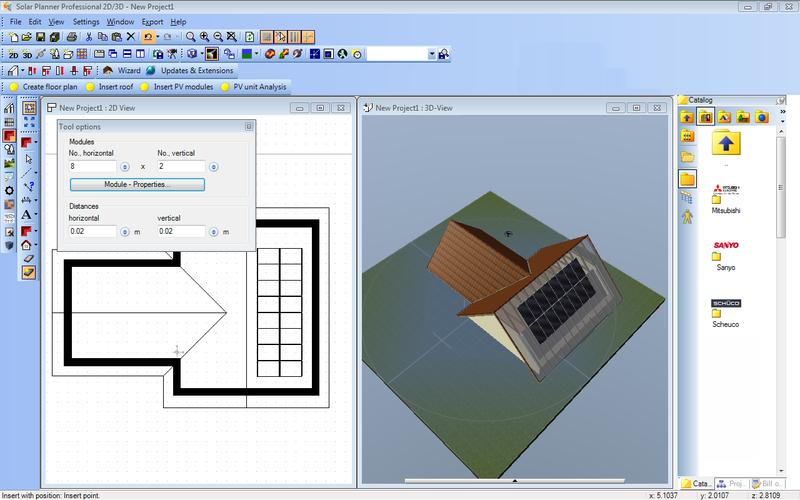 Visual Building Solar Designer = Visual Building Premium + Solar Designer Addon Module. Visual Building Solar Planning is a specialist addon product for Visual Building Professional and Premium developed specifically for Solar Panel installation companies. Using the Visual Building Solar Plaaning software, Solar panel installers can now design and demonstrate to their potential customers exactly what their final installation will look like, and at the same time display the actual parameters used in the calculations to give the estimated feed-in tariff. With this wonderful new technology, you will have an added advantage over your competitors and help you convert more enquiries into sales. 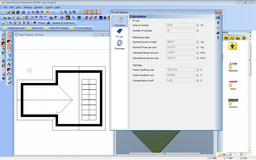 Visual Building Solar Planning is supplied as a down-loadable, which means you can start using it immediately. All documentation is supplied as a help file. There are however additional online resources available in the form of video tutorials, which are updated and added on a regular basis. 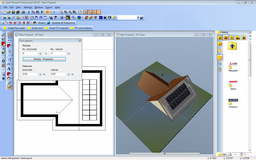 Watch a tutorial to demonstrate the creation of a solar installation project. Are all solar panel installers the same? 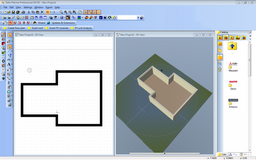 Draw 2D plan of exterior walls. To easily achieve this, the exceptional dedicated construction tools of Visual Building are available to you. 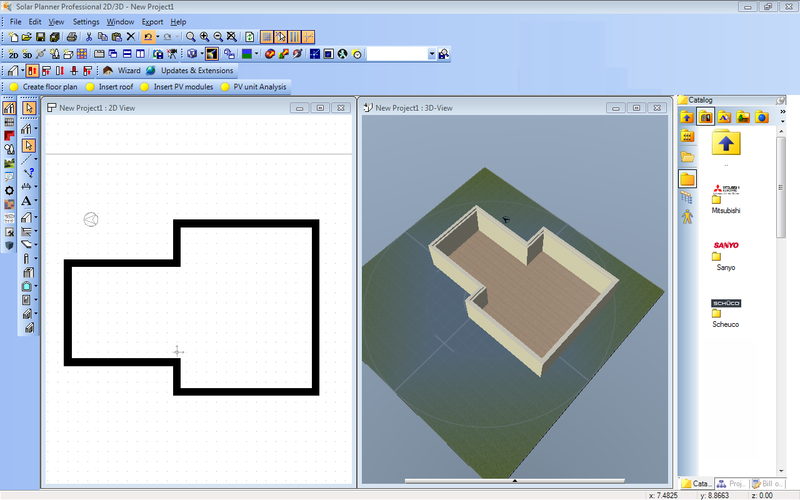 Your plans can consist of just a simple floor plan showing the roof foot print, or you can create a complete multi-floor construction, complete with doors and windows. The effort at this stage depends entirely upon how much you want to impress your customer. 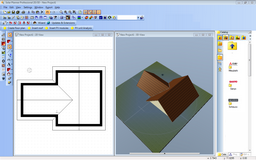 Automatically create the roof structure, allowing you to specify gable ends, sloped areas and roof pitch. Where shade from adjoining buildings or structures may be a problem, you can also include these to demonstrate the effects of shadows cast at different times of the day, in different seasons and even in different locations. The shadows cast from adjoining structures are only a simulation and at this time are not taken into account in any calculations. 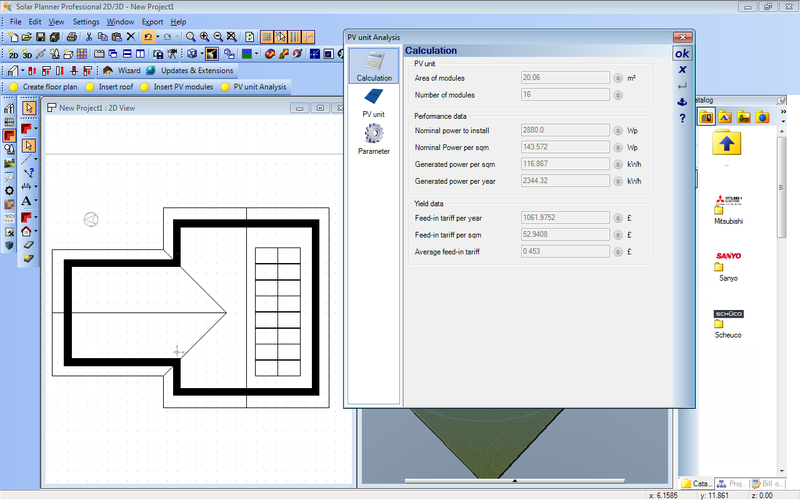 The PV Unit dialog, gives you the details of roof pitch, facing, irradiance value, system loss and calculated solar gain. 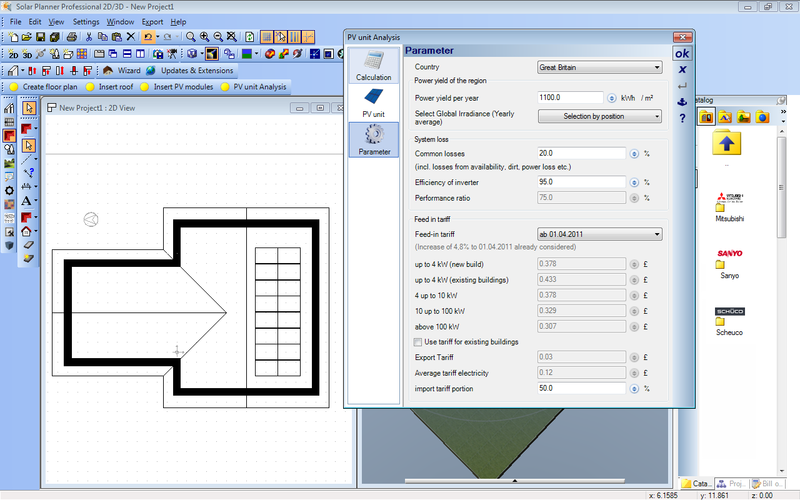 This dialog also confirms the actual panel dimensions and its nominal power. The Parameter dialog allows you to specify the Solar Irradiance value by location from a map, and make adjustments to losses and inverter efficiency. Facing is specified by setting the on screen compass. The Feed-In tariff values are also specified in this dialog, from which you can select from the new build / existing build values. The Calculation dialog presents the final calculated values for generated power and customers estimated annual revenue. Using your own template designs create a detailed report for your customer. You can present the data you want and how you want. 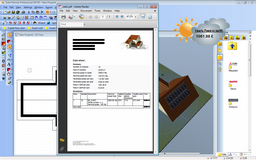 Customer details are documented within the design project and are automatically inserted into your reports. Your customers can now see exactly how their solar panel installation will look and perform. Your report is saved as a pdf file ready to be printed, posted or emailed direct to your customer. 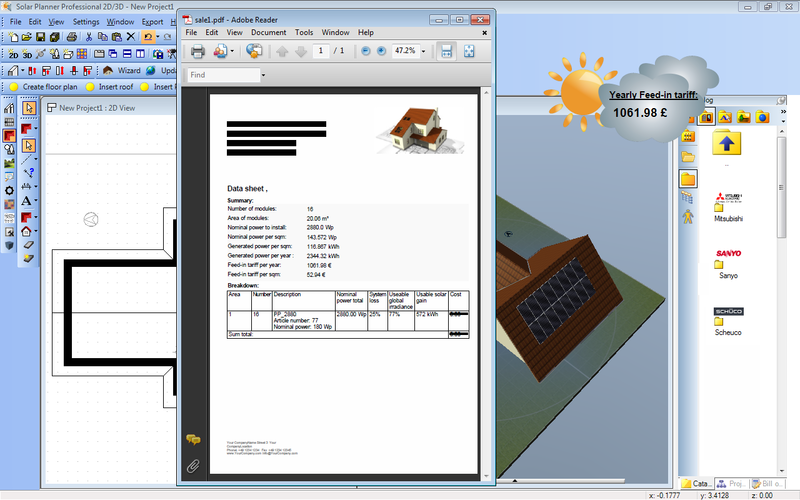 You can even include the 3D presentation together with your report. 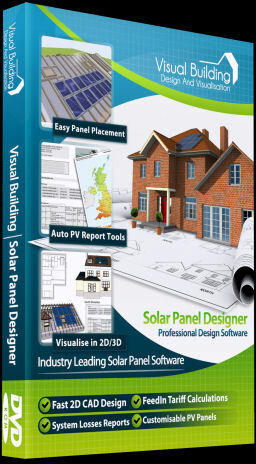 Visual Building Solar Designer users can also take advantage of our Solar Promote marketing offer and our Solar Support plan. Online 1 on 1 training is also now available for this product. 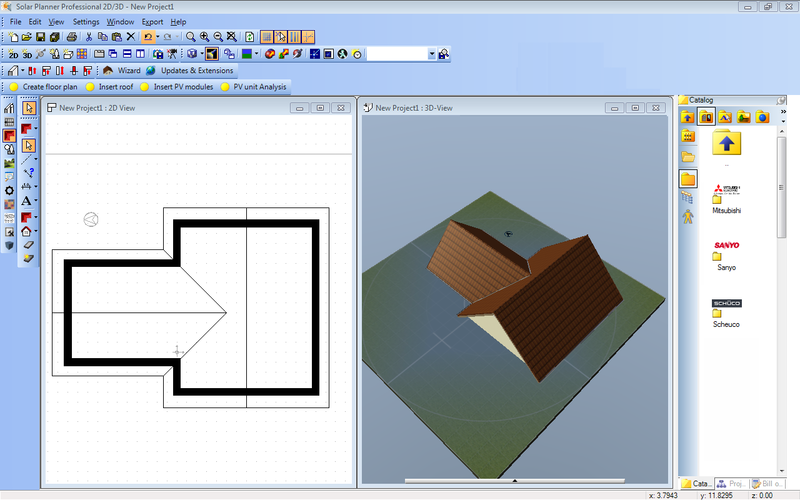 You can download the documentation specific to the solar designer element of Visual Building Solar Designer here.